The U.S. Patent Act (35 U.S.C. § 271(a)) grants a patent owner the right to prevent others from making, using, selling, offering for sale or importing a patent invention within the U.S. The doctrine of patent exhaustion limits the patent owner’s ability to control the use of patented items after those items have been sold. In other words, the first authorized sale of a patented item terminates/exhausts all patents rights to that item. 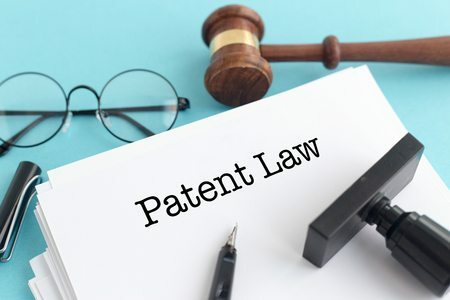 As a result, the purchaser of the patented item has the right to use or resell the patented item without it being considered infringing of the patent owner’s rights. Recently, this act’s provisions were called into question in the case of Impression Products, INC. v. Lexmark International, 137 S. Ct. 1523 (2017). In the case’s rise to the Supreme Court, the Sixth Circuit Court of Appeals gave remanufacturers quite a scare when it found that patent rights to a product could be retained after the sale of the product when the patentee imposes restrictions upon the sale of the product. The Supreme Court, however, reversed the Sixth Circuit, holding that the sale exhausted patent rights in the product being sold regardless of any restrictions the patentee attempts to impose on the location of the sale. In the Impression Products, Inc. v. Lexmark International case, Lexmark was the patent holder of a type of laser printer toner cartridges. Once the toner ran out, they could be refilled and resold, and many companies took advantage of this by purchasing the empty cartridges, refilling them, and reselling them at a lower price than listed by Lexmark. To combat this problem, Lexmark created a return program, where they would sell its toner cartridges at a discounted price, where upon sale, purchasers entered into a contractual agreement to use the cartridge only once, and refrain from transferring the cartridge to anyone but Lexmark. They also placed special chips on the return program to make it more difficult to refill the cartridges, which also identified them as part of the return program. Remanufacturers, including Defendant Impression Products, continued to purchase and refill Lexmark cartridges in the return program, as well as purchase and import Lexmark cartridges sold internationally to refill and resell. The first Issue the Supreme Court chose to analyze is whether a patentee that sells an item under an express restriction on the purchaser’s right to reuse or resell the product may enforce that restriction through an infringement lawsuit. In deciding this issue, the sixth circuit court of appeals reasoned that the sale of the cartridges did not give authority to resale, as that right was retained by Lexmark, and because Impression products new of these restrictions, Lexmark could sue Impression for infringement. When this issue was placed before the Supreme Court, however, disagreed. They reasoned that while clear and enforceable restrictions through use of contracts with purchasers were eligible for a suit under contract law, the exhaustion doctrine applied upon sale of the item, and all patent rights are exhausted regardless of any contractual presale restrictions that may be in place, therefore Impression was not liable for patent infringement. The second issue pertained to international sales of a patented item, and its purchase and import back into the United States. The Sixth Circuit reasoned that the foreign sale of a patented product is different. They stated that because the item is sold abroad, where U.S. patent law does not apply, they do not exhaust their patent rights unless they expressly or implicitly transfer or license its rights. The determined that because the market abroad is not subject to U.S. patent law, A deluded market will make it more difficult to sell the product for the same price abroad as it is sold in the United States, so importing and refurbishing the product would be unfair to the patent holder. The Supreme Court, again, disagreed with the reasoning laid out by the sixth circuit. They compare the first sale doctrine of copyright law, which has no geographical restrictions as to a copyrights exhaustion after first sale. They also reason that a patent holder has the option to sell the product abroad or not. Patent law makes no guarantee of compensation received, and it is up to the patent holder to determine whether or not to sell their patented item at that price. Ultimately, the court held that upon sale, whether that sale be domestic or international, patent rights are exhausted. The Supreme Court’s opinion in Impression Products, Inc. v. Lexmark International did distinguish the sale of a product and the licensing of a product. As a result, we can likely expect to see more attempts to structure transactions as licenses rather than sales. Further, this decision may result in companies increasing foreign prices to match those in the U.S., such as consumer products and electrical components.